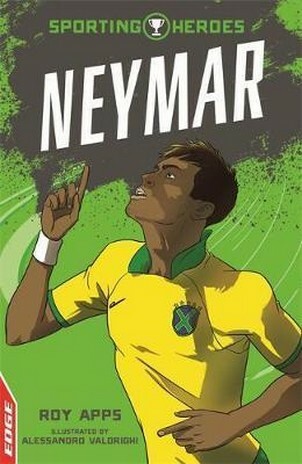 This inspirational biography for children, written by award-winning author Roy Apps, follows the jaw-dropping story of Neymar, from his early days playing for Santos FC in Brazil to winning the double with FC Barcelona in Spain. Illustrated with colour artwork by Alessandro Valdrighi, including graphic novel-style panels, this book is perfect for sport-mad girls and boys with a reading age of 7, but will work perfectly well for older readers too. Printed on off-white paper using a reading font approved by the British Dyslexia Association, the Sporting Heroes series brings to life the skill, grit and determination needed to be a world-class sportsperson today. This title is published by Franklin Watts EDGE, which produces a range of booksto get children reading with confidence. EDGE - for books kids can't put down.